It is probably a good idea to begin with the changes to the annuity rules. The current 10 year limit to annuity guarantees (whereby certain annuities will continue to pay out to a spouse in the event of death within the specified term) will be lifted, though likely not abolished. While this will mean greater security for your nominated beneficiaries, in the event of your death within the term, annuity rates will undoubtedly suffer. 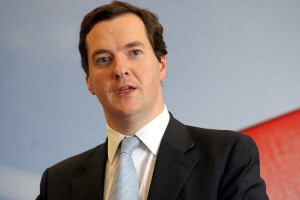 Osborne also reserved special mention for QROPS. It was made abundantly clear that the Treasury are very much taking QROPS into account and are committed to ensure their ongoing viability. One of the big issues still surrounded by much confusion was the question over whether transfers from final salary (also known as defined benefit) pension schemes would still be permitted. It has now been made clear that while these transfers will still be possible if your scheme is in the private sector, there will be some restrictions if you have a public sector scheme. One stipulation is that financial advice must be sought and QROPSreview.com can recommend an expert financial planner on request. What has been confirmed is that holders of unfunded public sector final salary pensions will not be able to transfer into a QROPS once the legislation has come into effect. Certain tax implications have also now been addressed. The current 55% tax charge payable on death is now likely to be reduced although not abolished as some hoped. The rate may come down to meet Inheritance Tax or Income tax levels. The legislation that will be needed to address these issues will be brought through in time for the Chancellor’s Autumn Statement. In the meantime, if you would like to be put in touch with a suitable Independent Financial Advisor, please let us know.